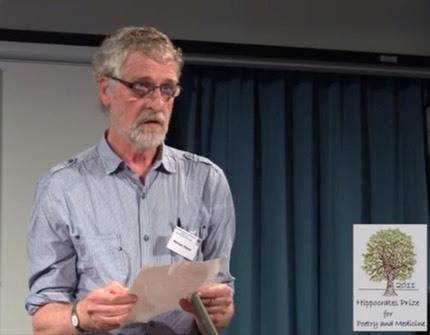 Brief video excerpts from the session are on the Hippocrates YouTube channel. Look out for dates for Hippocrates Poetry and Medicine sessions at the 2014 and 2015 University of Warwick Book Festivals. 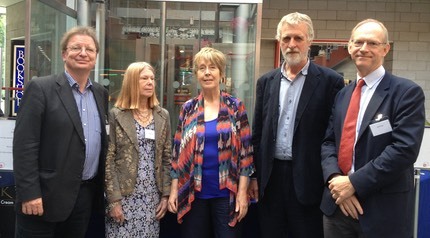 The panel session was led by founders of the Hippocrates Prize for Poetry and Medicine Michael Hulse and Donald Singer, and featured award-winning poets Wendy French, Jane Kirwan and Michael Henry presenting their work. The Hippocrates Initiative began in 2009 as the Hippocrates Prize for Poetry and Medicine for an unpublished poem on a medical subject. Since its launch the annual prize has attracted over 4000 applicants from 44 countries, and now includes annual international symposia at which the Hippocrates awards are presented, an international research forum for poetry and medicine, and The Hippocrates Press. 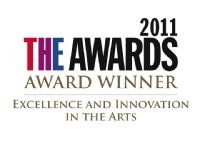 In 2011 the initiative was awarded the Times Higher Education award for Excellence and Innovation in the Arts. Wendy French won the Hippocrates Prize in the NHS category in 2010 (and second prize in 2011, with two further poems commended by the judges). She lives in London and facilitates writing in healthcare and educational settings. She has published two full collections of poetry, most recently surely you know this (tall-lighthouse press, 2009). Her collaborative book on the NHS, co-written with Jane Kirwan, is published this year by the Hippocrates Press. 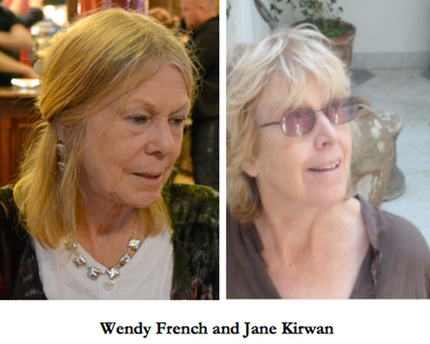 Jane Kirwan’s poetry collections, Stealing the Eiffel Tower (1997) and The Man Who Sold Mirrors (2003), were published by Rockingham Press. She won an English Arts Council Writer’s Award in 2002. In 2011, a prose and poem collaboration with Aleš Mach�cek came out in English and Czech. She was placed third (NHS category) in the 2012 Hippocrates Prize, with four further poems commended by the judges, and recently completed a book about the NHS written with Wendy French. Michael Henry has published four collections of poetry with Enitharmon Press, the latest being After the Dancing Dogs (2008). George Szirtes has praised his “poignant elusive poetry full of surprises” and David Constantine has applauded his “honest, sympathetic and enquiring” verse. He won the Hippocrates Prize in the open category in 2011. Donald Singer has been Professor of Clinical Pharmacology & Therapeutics in the Warwick Medical School since 2003. He has published widely, and since 2007 has been President of the Fellowship of Postgraduate Medicine. Since 2010 he has been Secretary of the European Association for Clinical Pharmacology & Therapeutics, and Chair of the Heads of Pharmacology and Therapeutics (BPS). In 2009 he co-founded the Hippocrates initiative with Michael Hulse. Michael Hulse’s most recent collection of poetry is The Secret History (Arc, 2009) and his latest publication the anthology The Twentieth Century in Poetry (Ebury, 2011), co-edited with Simon Rae. He has translated over sixty books from the German, and with Donald Singer co-founded the Hippocrates initiative for poetry and medicine, which took a Times Higher Education Award in 2011. A new book of poems, Half-Life, is published shortly.